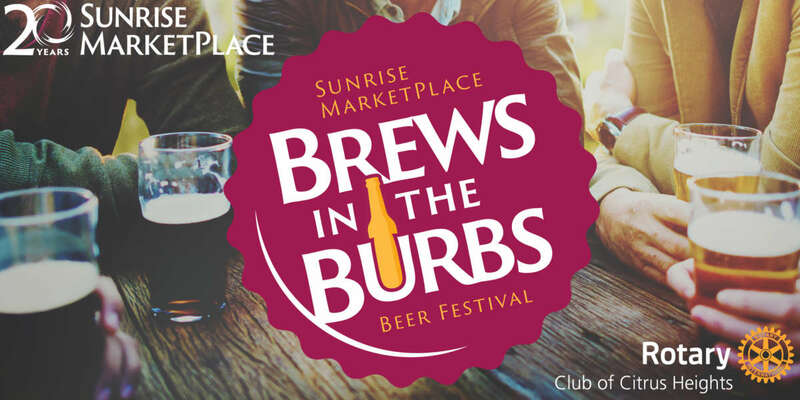 Showcase your business at Sunrise MarketPlace: Brews in the Burbs. On Saturday, June 8, 2019, Sunrise MarketPlace will transform the Sunrise Mall parking lot into a backyard hangout to showcase the best Craft Breweries, Home Brewers, Cideries, Meaderies, and Distilleries in the Northern California area. This inaugural event will feature craft beer tastings, live music, food trucks, backyard games and YOU! * Showcase your brand at this inaugural event to over 1000+ local customers. * Gain exposure through our targeted marketing campaign; encompasses radio, print, online and social media. * Build customer relationships and find new customers. * Entertain clients in our specialty VIP Area.